The waterproof diving gloves are a high-quality product. Some materials passing through several technological processes are necessary for their manufacturing. We produce the gloves in two types: with a seal and without a seal . The gloves with a seal are used in wet, semidry and dry diving suits – fitted with latex seals, where upon the seal of the gloves is mounted over the cuff’s suit. In semidry and wet suits, the seal is mounted directly over the hand’s wrist. In both types of seals, the seal is cut over the concentric lines according to the wrist in advance so that the circulation of the blood is not obstructed.The gloves without a seal can be used for all hermetic systems -Check-up, Si Tech, SF,DILO etc. The working surfaces of the gloves is roughness and elasticity increase the strength and assure the stable catch of instruments and prolonged operation with rough materials . 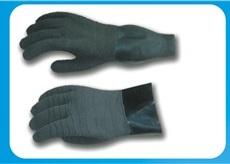 The gloves are manufactured in anatomic shape, so that they do not tire the hand. The elasticity of the gloves – stretch ability over 500 %, allows operations with sharp objects and gives them big resistance to puncturing, cutting and tearing. 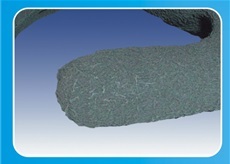 The gloves are object of special antisticky treatment. The storage must be carried out in a dark and cool place. On completion of the operation, the gloves must be washed with fresh water.